Locationâ¦Location! 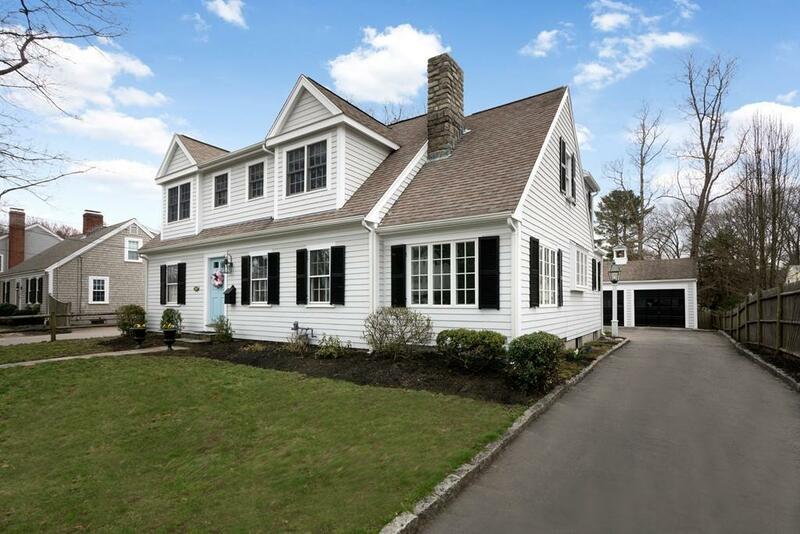 Recently renovated & expanded Cape style home located in highly sought-after Hingham Centre family neighborhood. Steps from South Shore Country Clubâs 15th hole, homes on this on this street rarely come up for sale. This spacious dormered Cape style home features a large eat-in kitchen w/bay window, stainless steel appliances, sitting area & adjoining family room w/cathedral ceiling, Vermont Casting gas stove & surround-sound, dining room w/stone fireplace & wainscoting, office & mudroom w/half bath complete the 1st floor layout. 2nd floor laundry & 3 spacious bedrooms featuring master BR w/cathedral ceiling, full master bath & walk-in closet. Finished basement and oversized 2 car garage. Walk to town center, close proximity to the train and to the commuter boat. Don't let this one get away â¦a GEM!